Driven by data, Metro Transit is in the process of a comprehensive organizational assessment of equity, using employee surveys, cultural inclusiveness assessments, focus group discussions and more clearly defined performance indicators to better understand areas of strength, weakness and opportunity. One resource that Metro Transit is using in planning is the Equity Tool. It is a set of questions that helps a person view a decision from an equity perspective. This program is focusing on neighborhoods in areas of concentrated poverty where more than half of the residents are people of color. 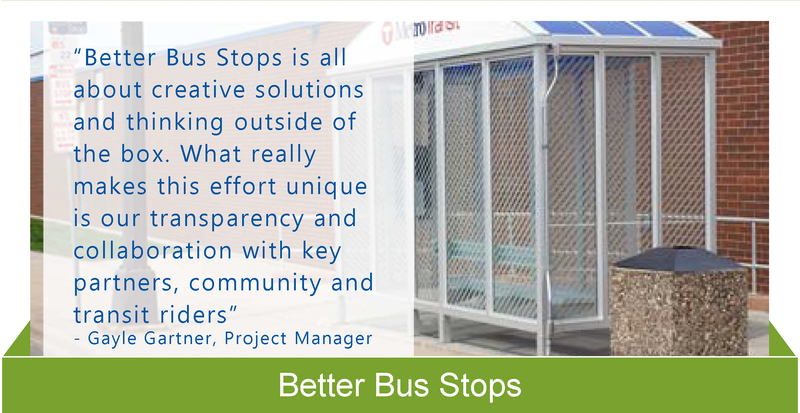 Bus stops are evaluated for new or enhanced shelters based on a set of use-based guidelines. Metro Transit developed an innovative program that has become a national model for building talent as Baby Boomers retire. Participants embark on a multi-year paid apprenticeship, after which they are eligible – and trained – for a job at Metro Transit. During an eight-week class, drivers learn key phrases that allow them to communicate with Spanish-speaking customers. It helps customers be more confident about riding and bus drivers develop deeper relationships with their riders. Dozens of Transit Police officers have taken a 10-week class that teaches basic Spanish words and phrases. Each summer, the Met Council hosts this specialized internship program. Participants work in their area of study but also spend time in leadership development, equity, public speaking and must complete a community service project. As the Twins Cities region welcomes visitors from across the globe, Metro Transit provides transportation to many of them. Its phone representatives are now able to speak to customers via translators in 170+ languages when non-English speakers call for assistance. 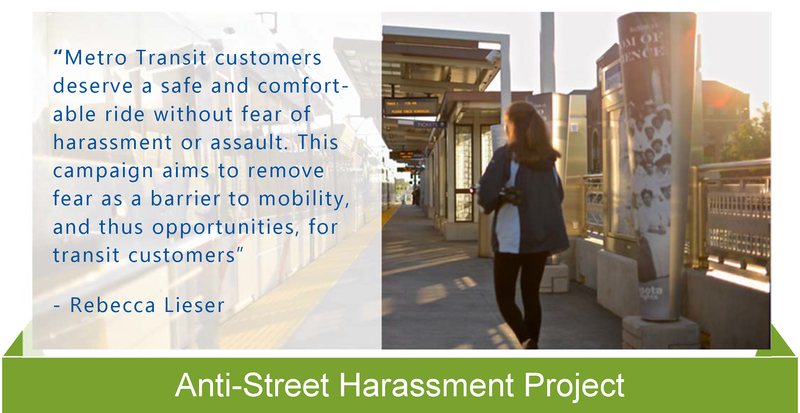 When Metro Transit initiates a new public project, it integrates community engagement activities into each phase of development, construction and implementation to ensure that neighbors are partners in the finished product. Examples are the Better Bus Stops program and the in-development C Line rapid bus line. The Scorecard was created by Twin Cities community leaders to make sure that the principles and practices of equitable development, environmental justice and affordability are available to all communities as they plan for economic development and wealth creation that benefits everyone. Download the Equitable Development Principles and Scorecard here. Learn more. Contact Program Manager Ericka Jones at 612-349-7672.